Our staff welcomes you! 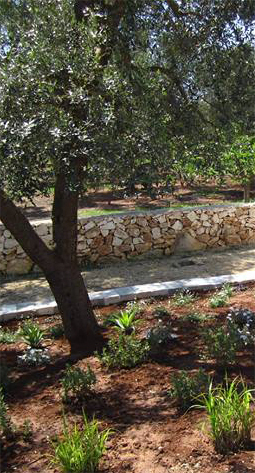 The centuries-old olive trees are the setting for our Agriturismo. We are in the southernmost part of Puglia, Salento, surrounded by greenery and tranquility of the Mediterranean, just 3 km from the crystal clear sea and the white beaches of Porto Cesareo and Torre Lapillo. There are very few km’s that separate TERREAMARE from the main centers of cultural and scenic interests of Salento: Lecce, Gallipoli, Otranto, Ostuni and many others. 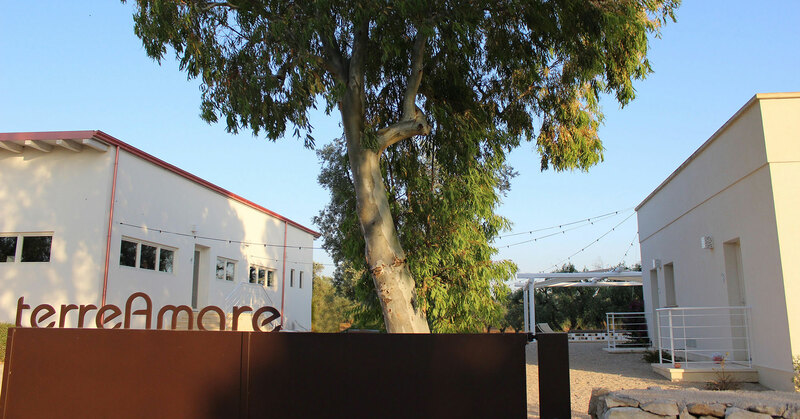 It is a place to come to regain possession of your time, to enjoy the red sunsets among the ancient olive trees or to discover the secrets of the countryside with its own rhythms and its dexterity. It is the pleasure of long walks to discover the Salentinian flora and fauna, made up of countless edible plants that we gather together and use in our cuisine. It is the ideal landscape for reading, painting and photography among the long expanses of olive trees. TERREAMARE is also the place to spend your summer holidays located close to the sea. Our wish is to spread emotions to you: upon arrival and during your stay, but also to leave unforgettable memories of your stay. Our mission is to build a strong relationship with the guests. Surrounded by the ancient olive trees, you can discover the true essence of our land tasting our organic extra virgin olive oil. The way the dishes look, smell, taste, and even sound: our food is meant to be experienced with all senses. In all our dishes terroir and traditions are mixing togheter with a right dose of personality. Old-time recipes of Apulia and innovative gourmet cuisine live together in our dishes. We host you in the rooms that were the ancient “farmhouses”. 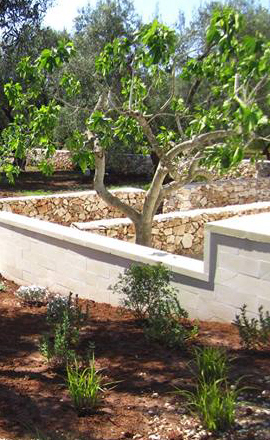 The dry stone walls, the rural environment made of centuries-old olive trees tell you all about our rich historical tradition. Basic lines, and simple shapes of the traditional houses with a focus on comfort and modernity are blended together in our room. We bost 16 rooms which are converted farmhouses dating from the early twentieth century. We have enriched the original features with simplistic good taste and comfort.